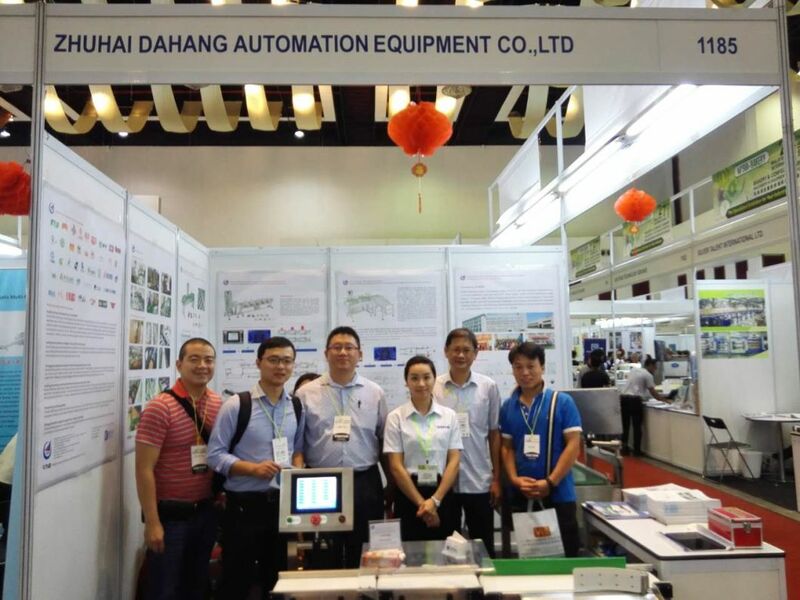 ZhuHai DaHang located in Guangdong, China, which is a high-tech integrated enterprise focus on R & D, production, sales and service for checkweigher, weight sorting machine and metal detector. 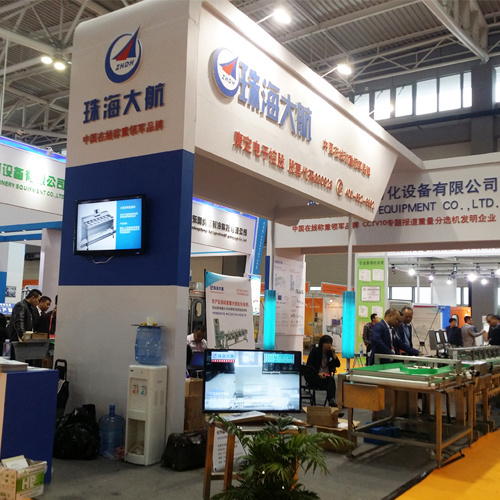 Founded in 2005, Zhuhai Dahang is the leading brand of online weighing in China and provided global users with professional customized control system and solution for automatic weighing, sorting and metal detecting. Zhuhai DaHang is a branch of zhuhai KangDing Electronic Co, .Ltd (stock name: K.D Electronics, stock code: 830928). Regardless of which branch you belong to, our machines stand for 100% online weight control in your production line. 3. Unique dynamic weighing anti jamming technology. 5. Data storage and output printing capabilities. 6.Â Entirely stainless steel and water-proof structure. 8.Â Validated by practical market applications over 10 years with reliable and stable quality. 1.Â Â DaHang Series checkweigher and weight sorting machine could embed in a variety of production/transportation lines and conveyor systems, the online weight sorter weigh each productÂ individuallyÂ andÂ sort products of different weights into preset weight grades. 2.Â Â DaHang series weight sorting machine are divided into three sections, infeed and speed matching sections, weighing section, grading/sorting section. 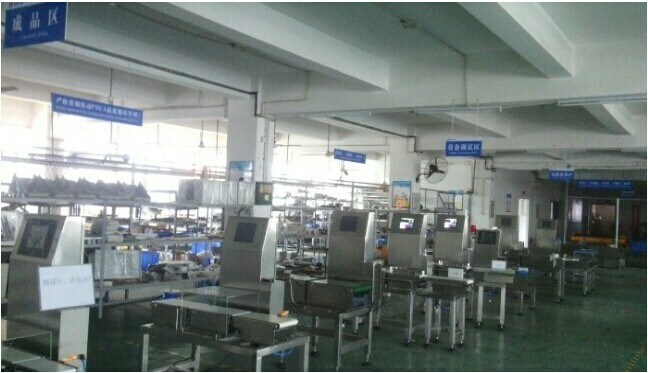 DaHang Automation checkweighers and weight sorting machine efficiently save the labor cost and improve the standardization of products, widely used inÂ fruits and vegetables,Â seafood, fishery, poultry, pharmaceutical, daily necessities, logistics, chemical and other industries. 1.Â Â Â Leading brand of online checkweighing and sorting industry. 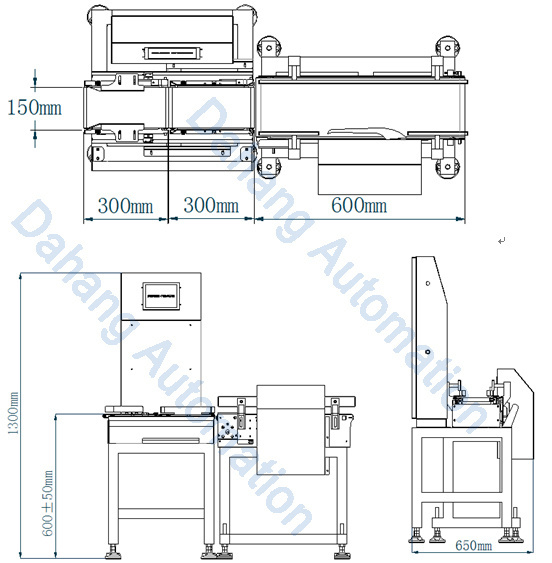 Dahang automation equipment be used in many fields and were validated by many leading enterprises. Dahang have the largest and most stable customers' resource in China which occupied 80% of Chinese marketing. 2.Â Â Â The biggest professional research center and production base. Zhuhai Dahang has the strongest team of technology research and development in domestic. Dahang is SGS supplier passed the SGS authentication, existing plant area of 3000 square meters. Â 3.Â Â Â Â Technology leading in industry. The first one of several technical indicators in domestic. Zhuhai Dahang Self-help develops unique dynamic weighing control system with high stability and practicability. 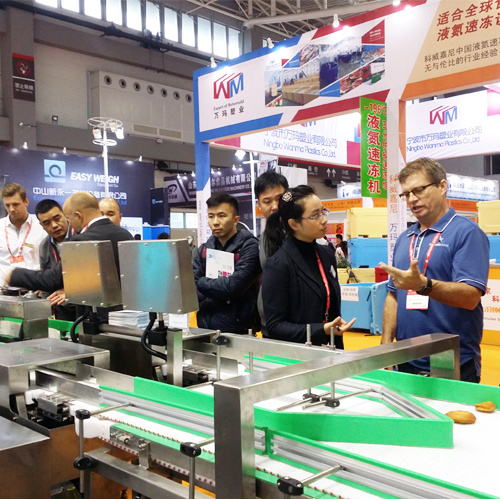 The weighing sorting accuracy can reach Â±0.05g, sorting speed can reach 200 times/min, the top sorting rank can reach 16 levels, the technical ndicators always keep the first position in domestic industry. Dahang got 9 Technology Licensing Patents and 4 Computer Software Copyrights. Dahang invented Seafood Weight Sorting Machine and Rotating Disc Weight Sorting Machine. Dahang is the inventor of weigh sorting company special reported by CCTV10 scientific channel. Zhuhai Dahang cooperated with 3 Chinese high universities to ensure strong research support. 1. How to install the new machine? Firstly, our machines are designed easy for installation; and we also supply a very detailed operation manual and installation videos to you.Â If needed, we'll arrange the technical engineer to service overseas. We'll share the cost and fees with our customer. 2. How to solve the problems during using the machines? We have special after-sale team ready to solve the problems for our customers at the first time. Firstly, customers can describe the problems to us by email or telephone; sometimes we need you to supply the problem pictures and videos for our technical engineers for reference. After finding the problem, we'll discuss and give you the most effective solution in a short time. If needed, we'll arrange the most experienced engineer to go to your factory for solving your problems as soon as possible. 3.Â Warranty period and spare parts supply? 4.Â Do you supply OEM service? Yes. OEM service is available. Our professional designer would make your private idea into being. We will protect your sales area, ideas of design and all your private information. And we are negotiating with agents and distributors in many countries. 5. Do your machines have Invention Patent? Yes. We achieved 5 core software copyright and 9 patents technology authorizing. 6. How do your machines connect with computer, printer, scanning or coding machine? Connect through the RS232 or RS485 port of the hardware configuration and a variety of compatible communication protocols of the software directly with the computer and printer/scanner to output the weighing data. 7. What's the relationship between Zhuhai Dahang and zhuhaiKangDing? Our company Zhuhai Dahang is Zhuhai KangDing Electronic holding, the quality control and service management is very strict. 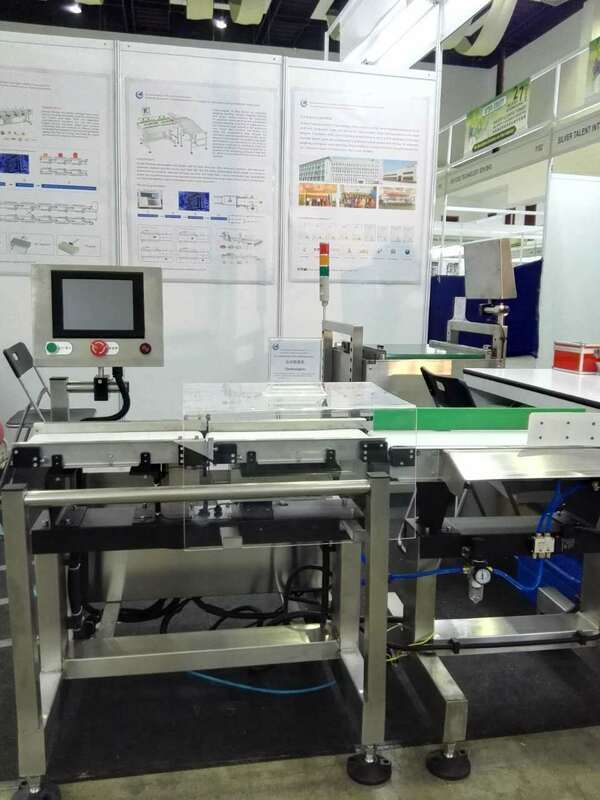 Thanks a lot for your attention onÂ our Double Lines Checkweigher (DHCW-400DL) with high speed.Â PleaseÂ feel free toÂ leave the message of your specificÂ requirements, we will customize the machine for you.